S. sempewirens - Color, golden yellow. Flowers, large, closely bunched, in various shapes, broad or elongated, or dense and thick. Stem, tall, or low and spreading. Leaves, thick, fleshy, lance-shaped, smooth, entire, the lower ones slightly clasping, upper smaller, less fleshy. Stout - stemmed, very leafy and bushy. August to November. S. graminifolia. - In this and the next species the flowers are massed in flat corymbs instead of elongated racemes. Leaves, 3-ribbed, long, narrow, smooth, except for a roughness along the veins and margins. 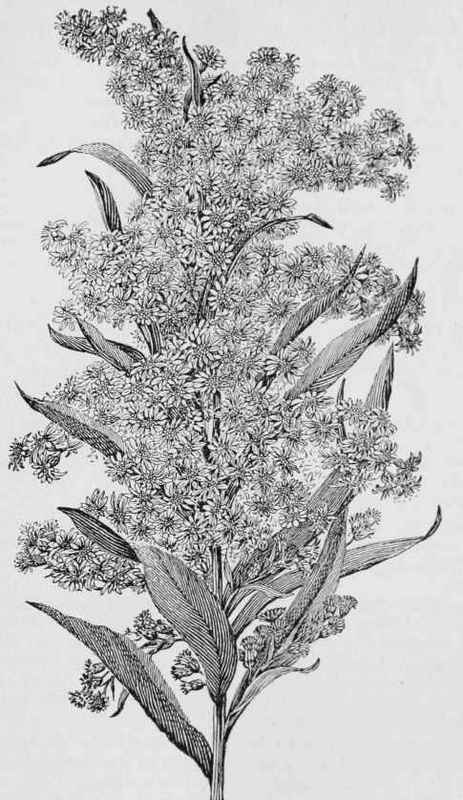 Heads of flowers of a light yellow, in wide-spreading masses. 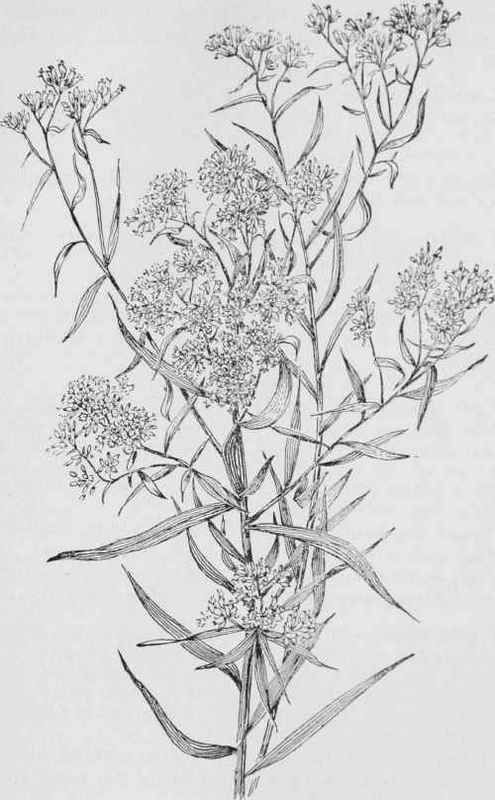 Plant, as a whole, pretty, and of a light, graceful foliage. August to October.